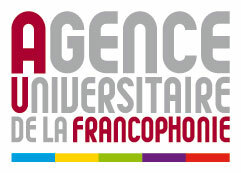 Rectors and presidents in charge of the different francophone higher institutions members of the Unitwin network will meet in Bordeaux (27, 28 and 29 May 2019) in order to take stock of education, training and research activities on sustainable development during the three years since the March 2016 conference and to define the 2019-2022 strategy of the chair in association with its different private and public partners. The theme of the conference will be: "Education for sustainable development, a transition lever for our societies"
UNESCO is the lead agency for ESD and coordinates the Global Action Programme (GAP) on ESD as the follow up to the UN Decade of ESD. The Bordeaux UNESCO chair is a keep partner of this Global Action Programme. The Review Forum for the GAP was organized in Ottawa (Canada) in March 2017 with the aim to review GAP implementation since its launch in November 2014 and discuss the way forward for the following years. The Forum also explored emerging ESD issues, trends and ideas, and highlighted innovative approaches. During the Conference, the different members of the GAP partner network met and discussed the Flagship Programme of the GAP under which an Education for Sustainable Development (ESD) Policy and Action Pact has been developed. The Pact can be signed by local governments, both rural and urban, pledging action on promoting education for sustainable development. As the GAP will end in 2019, UNESCO is carrying out a series of global consultations to reflect on the post-GAP period and the future of ESD. At the event, which took place at the University for Peace in the Central Valley of Costa Rica, UNESCO consulted with the GAP Partner Network on a draft position paper on the future of ESD. The three-day meeting, organized by UNESCO Headquarters and UNESCO San Jose in cooperation with Earth Charter, included discussion and planning on the work of the Partner Networks until 2019. The first day included interactive town-hall discussions using an online survey tool and subsequent debates over key questions. Issues addressed ranged from the importance of ESD to the achievement of the SDGs, to its role in promoting values and sustainable lifestyles, especially among youth. The second day built on these discussions through group visits to various ESD-related sites around San Jose. In the afternoon, world café discussions allowed participants to reflect on the position paper in view of observations made during the site visits. The sharing of opinions, perspectives, priorities and good practices continued into the last day, which mainly centred on the successes and challenges of the current GAP flagship projects' implementation, which is funded by Japan. One such flagship projects was the youth leadership programme on ESD, which saw regional, local and national capacity-building workshops on ESD successfully organized for 292 youth from 93 countries in total, who then conducted their own workshops empowering over 11,000 youth around the world. Other flagship projects focused on the role of the local community in mobilizing ESD or on policy processes for integrating ESD into academic arenas and building the capacities of administrations and teachers. The closing of the meeting also celebrated the launch of a new UNESCO publication "Issues and trends in Education for Sustainable development". It aims at providing policy-makers, educators, and other stakeholders with state-of-the-art analyses of topical issues pertaining to ESD.